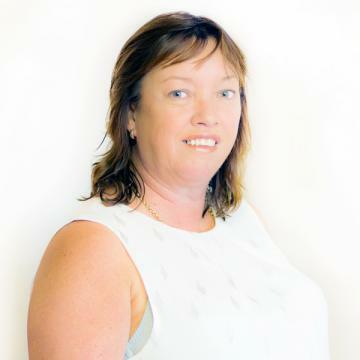 Jo-Anne Wilson is a CPA qualified accountant, and as such, she possesses a high-level ability to evaluate a business. Before starting with Benchmark Business Sales & Valuations, Jo-Anne worked as a commercial accountant in a number of fields including government, manufacturing, retail, and service industries. From those roles, Jo-Anne rose to become the CEO of a large service company that employed 600 people, with a gross turnover of $50M. She held that role for 10 years before deciding to take a change of course in life that led her to become one of our valued colleagues. Jo-Anne has a high level of business knowledge and experience – from both a financial and operational perspective. Her networking skills have often enabled her to source solutions to problems, and provide entrepreneurial insight and suggestions, as she has ‘been there and done that’ before – many times. Jo-Anne’s area of speciality is food and hospitality businesses, along with equestrian-related businesses. Her extensive management experience along with excellent communication and negotiation skills will ensure that the process -whether it be selling your business or purchasing your next business, will always be as smooth as possible. Contact Jo-Anne Wilson today if you would like to sell a business or buy a business. Very Popular = Very Profitable. It’s so good, people come from across Brisbane to shop there. So it’s not your typical fisho’. It’s up there in a class of its own. Takeaway or dine in. Which means this is not just a fish and chip shop for sale. It’s a seafood café for sale as well. Hit the Ground Running… Of course, you’ll have to keep up the friendly reception customers are used to from the current, very successful owners. And here’s a hint. Because they’re successful, don’t change a thing! This cafe and coffee shop could be a lifestyle business for an owner operator, it is closed by 3pm each day, potential to increase hours if desired. Managed Cafe for Sale in Brisbane. Making Profits Flow Tucked away in a unique garden centre on a major thoroughfare just minutes from the CBD, this cafe has created a reputation that pulls customers in. Making it a real 'destination cafe', and its purchase a real opportunity. Which means, profits are flowing. Once acquired, you'll earn a return on your investment in excess of 60% , and that's under management! Just imagine what you could earn if you ran it yourself. A cafe that is a casual eatery and bar by day and then transforms into a popular wine bar by night. The premises have wow factor and no expense has been spared to set up the business to deliver on the visions of the owner. Fully managed with all key staff in place, fully trained and reliable. The weekly sales turnover is strong and consistent. Located within short walking distance of some of Brisbane most prestigious offices with occupants enjoying a very high disposable income. Two North Stradbroke Island Businesses for Sale, for the Price of One! Backed by a highly supportive franchisor, you can't go wrong. Well positioned and simple to run, you'll earn your money back in the third year. It's all about the coffee. And then it's about growth. FOR SALE: $110,000 SAV Click on the FIND OUT MORE icon, call the hospitality specialist Jo-Anne Wilson on 0403 542 213 or email jo-anne@benchmarkbusiness.com.au. A takeaway that provides a solid income with a real lifestyle balance. FOR SALE: $120,000 Click on the FIND OUT MORE icon, call the food and hospitality specialist Jo-Anne Wilson today on 0403 542 213 or email jo-anne@benchmarkbusiness.com.au A takeaway business like this does not come up often. Enquire today! Benchmark Business Sales & Valuations. Brilliantly positioned. A quality fit-out. And very popular. This cafe for sale can make claim to all three. The big supermarkets conduct exhaustive research in order to know exactly the best place to position their stores. So where’s the best place to put a coffee shop? Right outside the supermarket! Yes, it’s brilliantly positioned. At the entrance to Woolworths, this café for sale captures all the passing trade. Yes, there’s a quality fit-out. And yes, it’s very popular.